There is a saying that "God gives his toughest battles to his strongest soldiers." How true this was for Cooper O'Brien. he was a brave and strong soldier, but on July 5th, 2014 he lost his 14 month battle against cancer at the young age of 14.
Cooper had a rare form of cancer called Clear Cell Sarcoma. 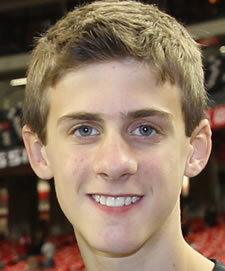 Throughout his fight, Cooper faced each day with a strong, positive attitude. He truly just wanted to be a kid and enjoy life. There are currently no protocols or treatments for this type of cancer. Rare cancers get the least amount of funding for research or clinical trials, especially for children. 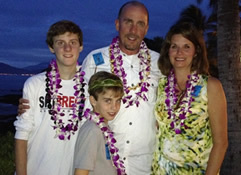 Cooper's family is passionate about bringing awareness and funding for children's Sarcoma research. Please join them in helping others who suffer. This video received an Emmy from the Southeast Chapter of the National Academy of Television Arts and Sciences (SE-NATAS) in 2016, and the Gold Award of Excellence in the Georgia School Public Relations Association (GSPRA) Electronic Media awards in 2015. Show your support of Cooper and help spread the word about Clear Cell Sarcoma! 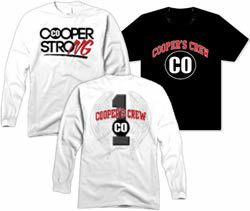 Net proceeds go to the Cooper Crew Fund. T-shirt prices include online transaction fees. 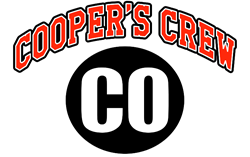 Coopers Crew Fund and Cooper O'Brien Scholarship Fund are now 501(c)(3) organization through a partnership with the Community Foundation for NE Georgia. Just click on the link, enter your amount, and select your fund to donate. 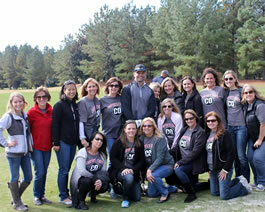 Cooper's Crew sponsors fundraising events throughout the year. Check our Upcoming Events area for details. Clear Cell Sarcoma is so rare, they know very little about the cancer and how to treat it. Help to spread the word about Cooper and his struggle with this cancer. This fund grants a scholarship to one male and one female graduating Senior at NGHS who has overcome adversity or hardship. Candidates are nominated by High School staff.